THE MORNING LINE ‣ How to help the Newtown families: Newtown Parent Connection, Newtown Youth & Family Services, Sandy Hook School Support Fund. 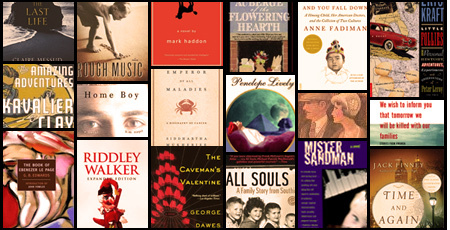 An admittedly quirky roundup, presented in no particular order, of some of our all-time favorite books, with an emphasis on the less widely known. Reserve for someone who deserves them.